Just over a month after Confederation, the Dominion of Canada had its first federal election. The winner? John A. Macdonald, of course. It was "no contest," according to the narrator of this 1997 CBC Television clip looking back at the election. This clip refers to Macdonald as "a wily politician who used every trick at hand," and a "master political carpenter." It also describes how elections were run back then. They were "very raucous, often drunken public affairs," says one historian interviewed. • The first election for the new Dominion of Canada occurred in August 1867. The Conservative Macdonald, who was already prime minister after being appointed to the job on July 1, won with a majority: 99 out of 179 seats. His opponents in this election were Liberal George Brown, also from Ontario, who won 62 seats, and anti-Confederate candidate Joseph Howe from Nova Scotia who won 18 seats. Howe had been strongly opposed to Confederation. • Male property owners were the only Canadians allowed to vote at this time. According to Elections Canada, only about 11 per cent of the population of Canada were eligible to vote in 1867. • During Macdonald's first term in office, he did much to earn his reputation as a Canadian nation builder. 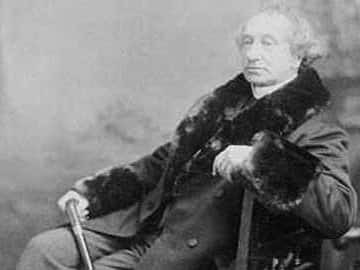 Along with bringing several new provinces into Confederation, he started planning and constructing the railway that would physically unite the country.